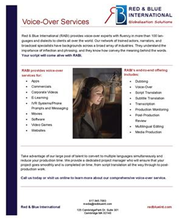 RABI's voice-over network includes trained actors and announcers who are fluent in more than 100 languages and dialects. Below are the voice samples of our talents in the most popular languages, in alphabetical order by language. 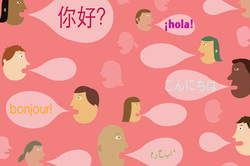 Please contact us for samples in other languages. Hire a talent for your project now! Contact us for samples in more languages we record in.